As part of a national Be Online campaign we are encouraging residents into their local library to make the most of using the internet between now and March 8. Thanks to a grant of £9,000 from the Tinder Foundation* we have trained more than 40 staff and volunteers to run IT sessions in libraries and other community centres across South Gloucestershire to encourage others to get online and improve their digital literacy and IT skills. 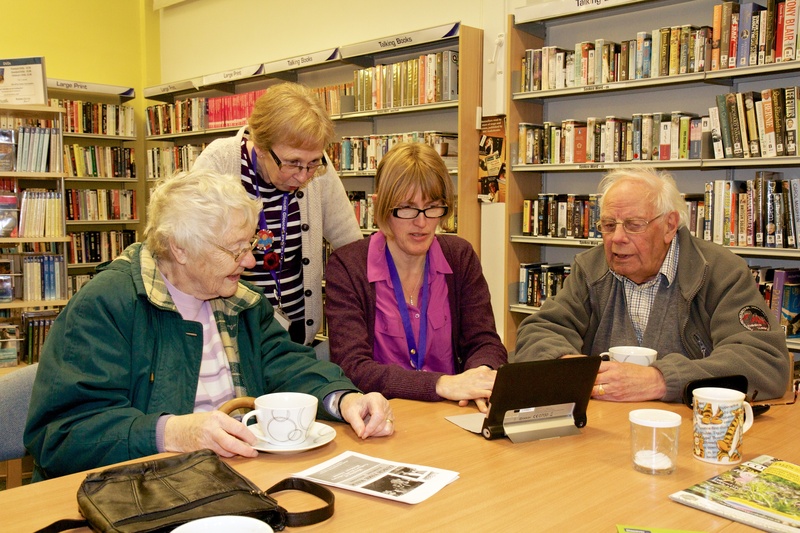 The Be Online campaign was launched at Cadbury Heath Library on Monday 23 February with volunteer IT tutor Trevor Muir, from Kingswood and a number of library users including Patricia Waterman.